You can make beautiful cards with the Tea Garden Collection Pack as you can see. The papers in the collection are gorgeous, but did you know it also includes stamps? Today I am featuring a couple projects I made using the Hero Arts polymer stamps from Tea Garden by Basic Grey. Here are two cards made using the gorgeous stamps. I used Distress Markers instead of watercolor paints. I just loved the way they turned out! For my other project I made a colorful tag! 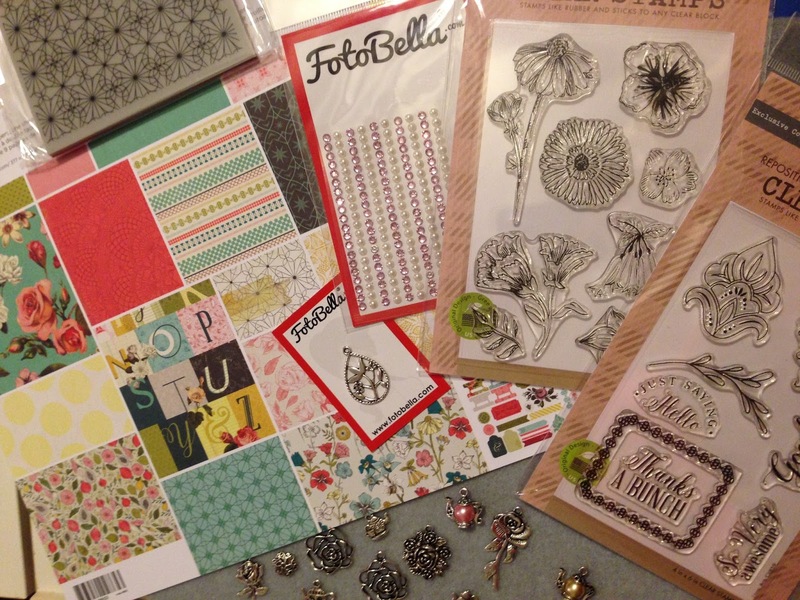 The Tea Garden Collection Pack by Basic Grey and FotoBella has been one of my personal favorites! If you are a card maker, scrapbooker, jewelry maker or stamper there is something in this collection for you! Thank you Mary! I have really enjoyed working with this collection! It was fun using the Distress Markers instead of actual watercolor paints! Just stamp on watercolor paper, put a few strokes of color on the image using your Distress markers, then use a water brush to blend. It turns out looking just like a watercolor painting! These are absolutely stunning, ReNae. Such wonderful colors as well. You sure do know how to inspire people. What a wonderful compliment! I appreciate it very much and am so glad you're inspired! Gorgeous cards and coloring! Really like the flowers bordering the paper. Gorgeous stamping and colors!! I love each and every project! !